Two of my favourite thriller novelists snuck into my Kindle last month with Dying for the Highlife and Blood Gold in the Congo . I’m a fan of both US author Dave Stanton and Australian Peter Ralph, and I’ve watched their work develop over the last few years. Peter Ralph’s forte is financial/political thrillers ranging from riches-to-rags story The CEO to the almost epic environmental saga Dirty Fracking Business. When you read a Peter Ralph thriller, there’s always the suspicion that the plot is over the top. Could the corporate world be quite as poisonous as Ralph portrays it? Well, have a look at his background on his author profile; this is a guy with a serious knowledge of the seamier side of business. Blood Gold in the Congo take us into literally new territory – Africa – and again the plot feels eerily authentic. Joseph Muamba , illegally adopted as a child, becomes a top US athlete and returns to the Congo to smash the international corruption rackets that are robbing the Congolese of their mineral wealth. The hallmark Ralph denouement is there, with the chief villain meeting his just desserts. 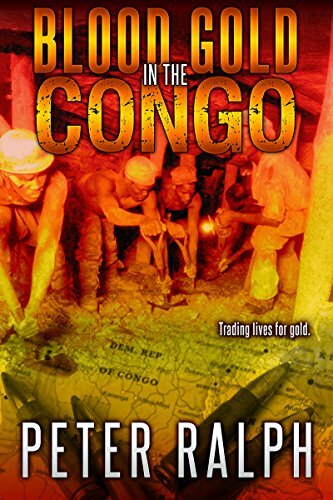 With Blood Gold in the Congo Peter Ralph’s writing is getting tighter and more economical, with the story allowed to flow unimpeded. I raced through it. 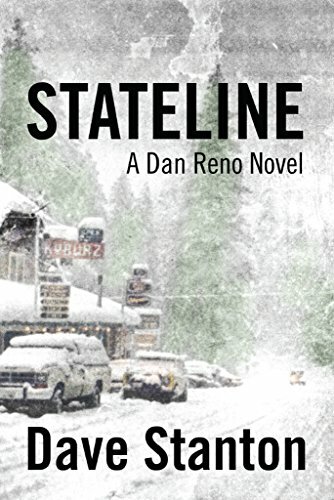 Stateline was my last Dave Stanton novel. I loved the winter setting of this Dan Reno story, but in Dying For The Highlife, things hot up as private eye Reno (‘as in no problemo’) hooks up again with his buddy Cody Gibbons. This time, Dan’s South Lake Tahoe PI business is on its knees until the ‘nearly beautiful’ Sheila Marjorie propositions him in a casino. Her stepson has won $43 million in a lottery, and now the jackals are circling. I’m not a great fan of book series, but the Dave Reno formula works so well that I go back for more. 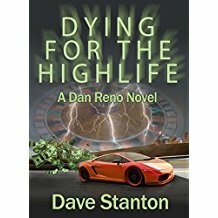 Dave Stanton achieves a consistent mix of complex plotting, characters that grow with each new book, and – number one for me – California-Nevada setting. Keep it up, Dave! Stuart Campbell’s new novel Cairo Mon Amour will be published in July 2017. It would be no exaggeration to say that Edward Said has been one of the major influences on my intellectual life. I’ve waited sixteen years to read his 2000 memoir Out of Place, which deals with his early life in Cairo, Palestine and Lebanon, and his education in the US. Said began the book around the time of his leukemia diagnosis, which he explained as the impetus for the writing of this extraordinarily intimate account of his lifelong sense of dislocation. For me, Out of Place provided a key to understanding the emotional foundation of Orientalism, his entirely unemotional and razor-sharp critique of Western conceptions of the East. 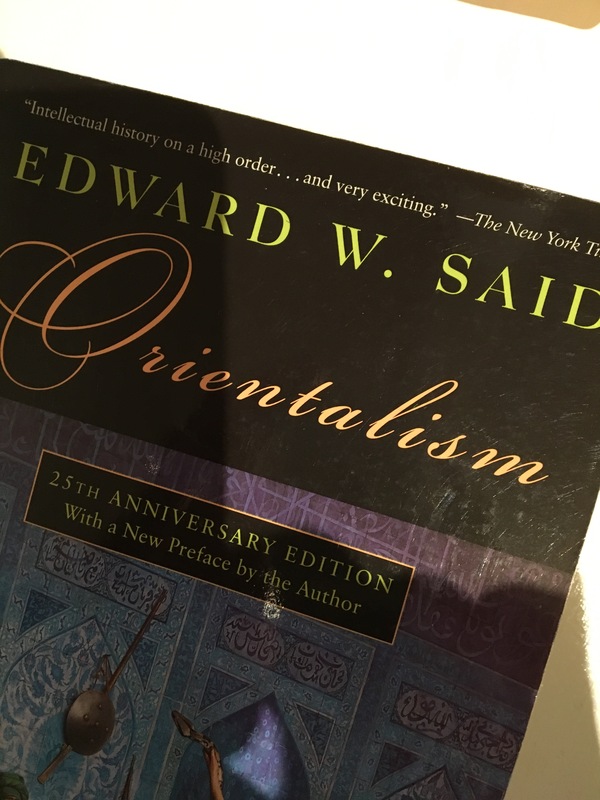 I completed my early degrees in Arabic and Linguistics just before Said’s Orientalism turned on its head the very concept of Oriental Studies, and I’ve spent many years pondering the intellectual upheaval that the book triggered in me. Looking back at my research career and my academic writing, it is now obvious to me how heavily I was influenced by Said’s work – even if that was not particularly clear to me at the time. His ideas have also never been far from my mind in my later life move into writing fiction. I’m especially fascinated by the Cairo chapters in Out of Place given that I lived in Cairo in 1973 and 1974 and have just finished my novel Cairo Mon Amour set in that era. Learn more about Stuart’s books here. One of my pleasures in reading is to meander through a genre and see where serendipity leads me. I’m an unashamed fan of James Lee Burke, the veteran novelist whose books lay bare the seamy and steamy underside of the southern states of the US through his flawed anti-heroes – Dave Robicheaux, Clete Purcell, Hackberry Holland and the rest of the sweating, gun toting, self-doubting crew. 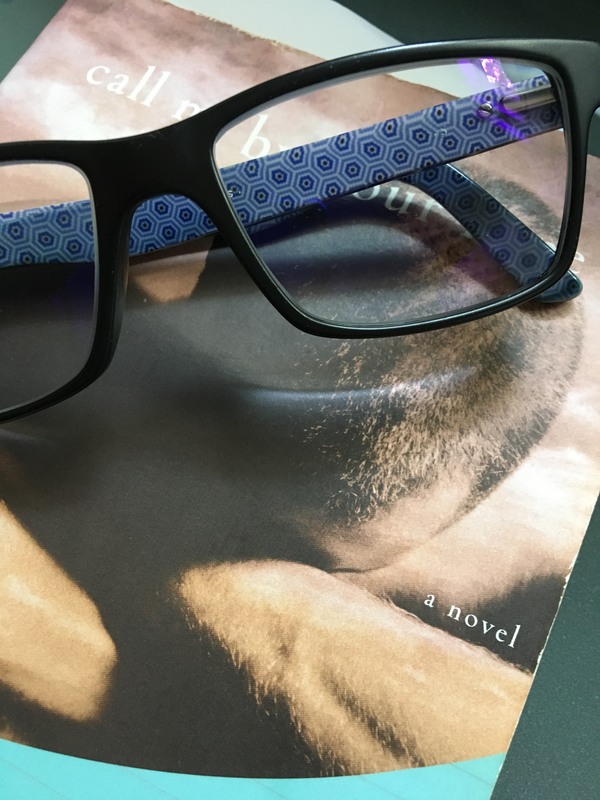 Even the women in Burke’s novels seem to have hairy chests. The landscape of the Dave Robicheaux novels is the worn-out, waterlogged settlements of New Iberia in Louisiana. I’ve never visited this region, and so I conjured up from Burke’s rich prose my personal imagined picture of Robicheaux’s world. It looked a bit like Bali. I was hooked and began to plan my literary tour of the Deep South. Reality intruded when I looked up New Iberia on Google Maps. The images showed something quite different: Dead straight roads passing through an utterly flat green landscape, grey skies. Suddenly I didn’t want to go there anymore. Despite the let-down, Burke piqued my curiosity and I began to follow leads to other writers of the South. I discovered a great deal of collateral detail: Tabasco Sauce is made in Avery Island, Louisiana; there is something called cracker culture, and it’s got nothing to do with biscuits; Mofro is a really interesting band. Moving up to Oklahoma, I found Glenn Ford in the 1960 movie Cimarron. 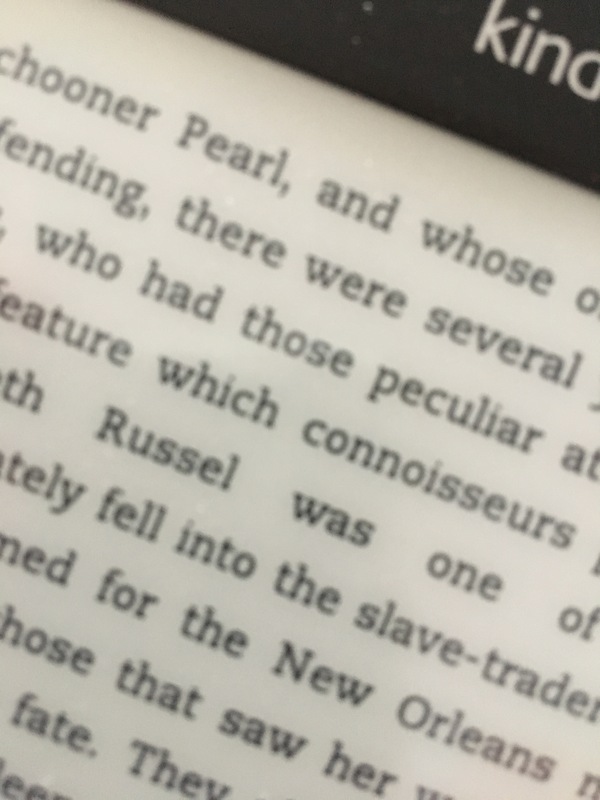 The two highlights of my Deep South reading were Thomas Wolfe’s Look Homeward, Angel and Pat Conroy’s The Prince of Tides (which most people probably know as the film version). Look Homeward, Angel is a great rambling, untidy, deeply moving mess of a book, which follows the rise and fall of the desperately alcoholic Oliver Gant, his sons, and his calculating wife. It took me months to read it in fits and starts, but at the end I felt the same feeling of emotional exhaustion that I had from Patrick White’s Riders in the Chariot. Pat Conroy’s novel continues the despair and unresolved angst that seems to pervade the literature of the South: The terribly damaged Tom Wingo struggles to come to terms with his equally damaged sister Savannah and his brother Luke. 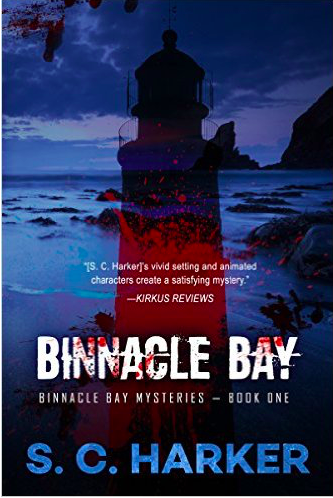 He finds some resolution at the end of the book, and this state of mind is conveyed metaphorically as he sails through the South Carolina islands following the course he had taken many times with his father. Now here’s where it gets weird: I’m reading this on my Kindle and my hand is twitching to open Google maps. I weaken and open the laptop, and for the next half an hour I drift through the sea coast of South Carolina sitting behind Wingo on his boat while I watch with Google Maps from the shore. It was a very serene and beautiful – if peculiar – reading experience. So are our imagined visions somehow violated when technology virtually (and I mean it in both senses) places us in almost any street in the world? I’m not sure: It’s an experience that we already know from film versions of books, but of course these films are themselves artistic interpretations, and not in the same realm as photographs. I tried making a quick scorecard of film or TV versions of novels that have (a) complemented and (b) violated my imagining of the novel: Pride and Prejudice: I can’t think of a film version that comes remotely close to affecting my enjoyment of the novel; McEwan’s Atonement: Hmm, it nibbled at the edges; The BBC series of Sebastian Faulks’ Birdsong: Oh dear. The one that kept popping into my head, however was the 1969 movie Justine, based on part of Lawrence Durrell’s The Alexandria Quartet, which I drooled over in the early eighties. I read the Quartet before discovering the movie, but once I’d watched Justine, the character of Pursewarden was defined retrospectively and for all time thence by Dirk Bogarde. In fact, the movie Justine caused me to reimagine at least part of the book. I’m reading James Lee Burke’s Feast Day of Fools right now. It’s his most gaunt and spare novel, set in a desert landscape on the Southwest Texas border with Mexico. I’m using a tablet now, so the Maps app is just a twitching finger away.